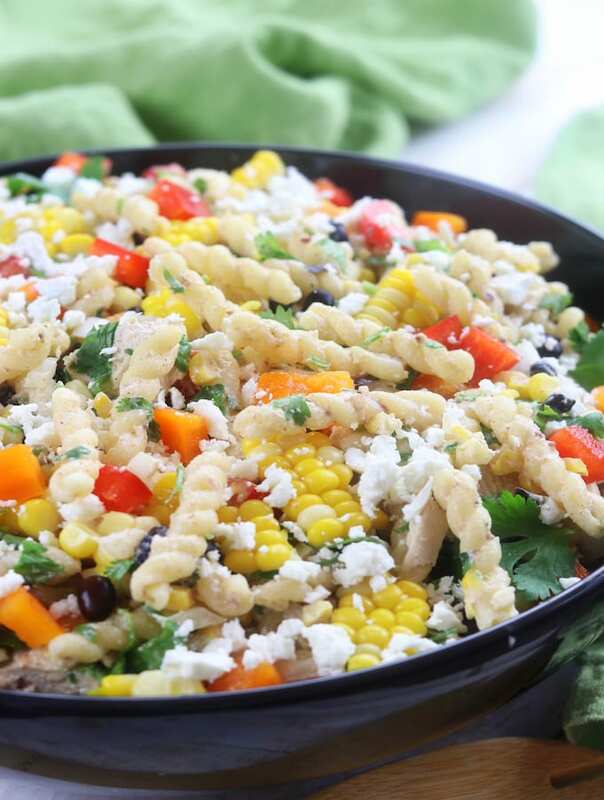 Crisp, refreshing and filling! 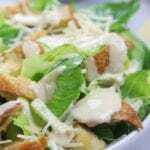 This Chicken Caesar Salad with Homemade Croutons recipe has an easy dressing made with yogurt and no eggs. 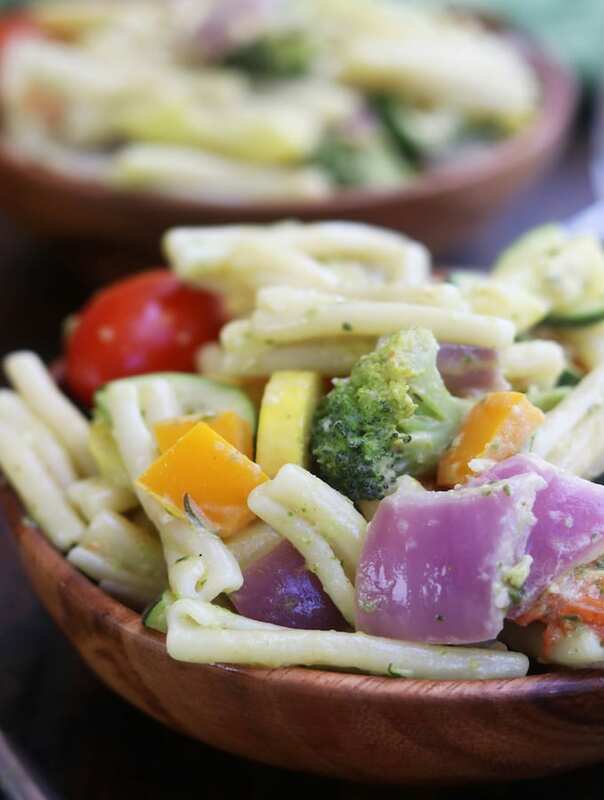 With shredded chicken this is one of my favorite summer meals. Can I just tell you how much I love salads like this Chicken Caesar Salad with Homemade Croutons? 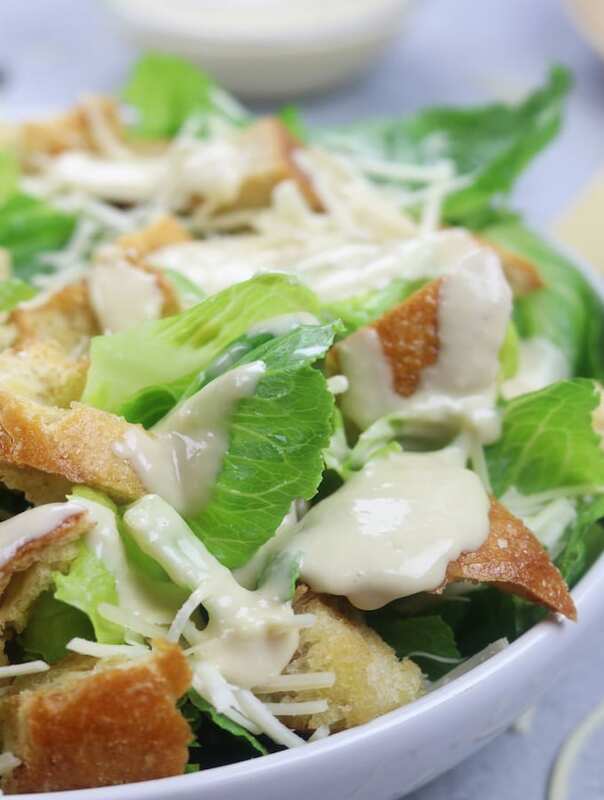 There is something so wonderful about the crisp lettuce, crunchy homemade croutons, creamy parmesan and Caesar dressing when temperatures are soaring outside. 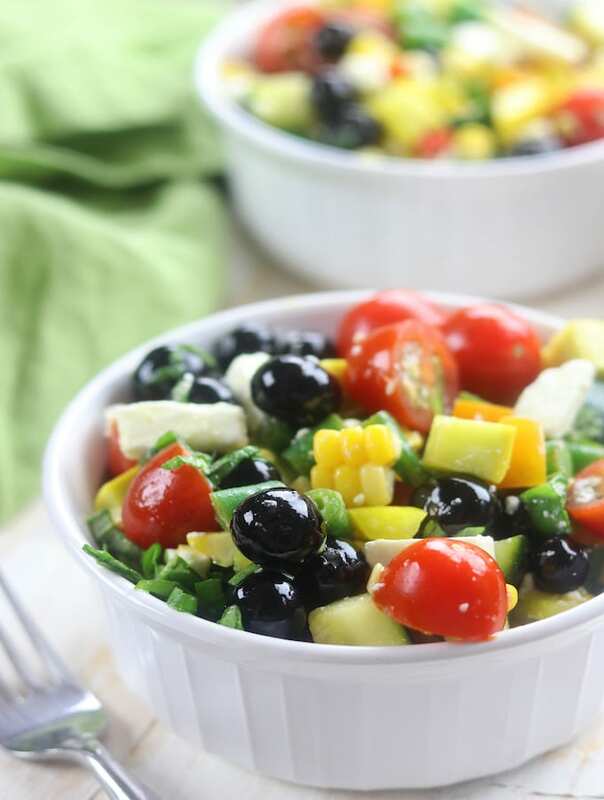 Honestly, I love this homemade salad so much I could live on it all summer long. Well this salad and all my other favorites like Simple Strawberry Salmon Salad, Kale and Brussel Sprouts Salad with Chicken, Lazy Day Chinese Chicken Salad and my all time favorite Lemon Dill Shrimp Salad (by the way my very first post). My husband and I are completely addicted to how the Instant Pot can make deliciously tender, juicy and flavorful shredded chicken so quickly. I can not sing Instant Pot’s praises loud enough when it comes to cooking chicken breasts and it was amazing in this homemade salad. To easily make shredded chicken in the instant pot place the chicken breasts on the bottom of the liner. Sprinkle on the chili pepper flakes (optional) and garlic powder. Add the lemon juice and broth (or water) to the pot and sea your IP. Cook on high pressure (Poultry setting) for 6 mins and do a Natural Release for 5 mins and then a quick release. Once shredded salt and pepper the chicken chunks to taste and add in about 1/4 to 1/3 cup of the cooking liquid from the pot. Stir well and place in covered container or wrap with aluminum foil. Refrigerate until chilled. 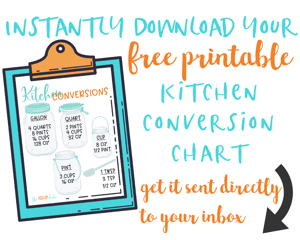 If you don’t have an Instant Pot have no worries. Simple preheat your oven to 350℉. Place the chicken breasts into a roasting pan. 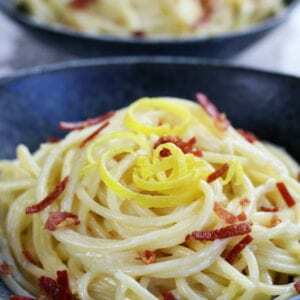 Drizzle with olive oil and sprinkle on salt, garlic powder and chili pepper flakes. Bake for approximately 35 minutes or until internal temperature reaches 165℉. Remove from oven and let rest for about 15 minutes and then chill covered. Cut into bite sized pieces when serving salad and add desired amount of cut chicken. One important thing to take note of, many crouton recipes will call for stale bread. I have actually used both fresh and stale bread and both have worked out beautifully. As long as you use a heartier bread, like the type mentioned in the above paragraph, you will be fine. The only main difference I have noticed is that stale bread usually toasts up in about 10-15 minutes (depending on your oven) while fresh bread takes about 25-35 minutes to toast up. 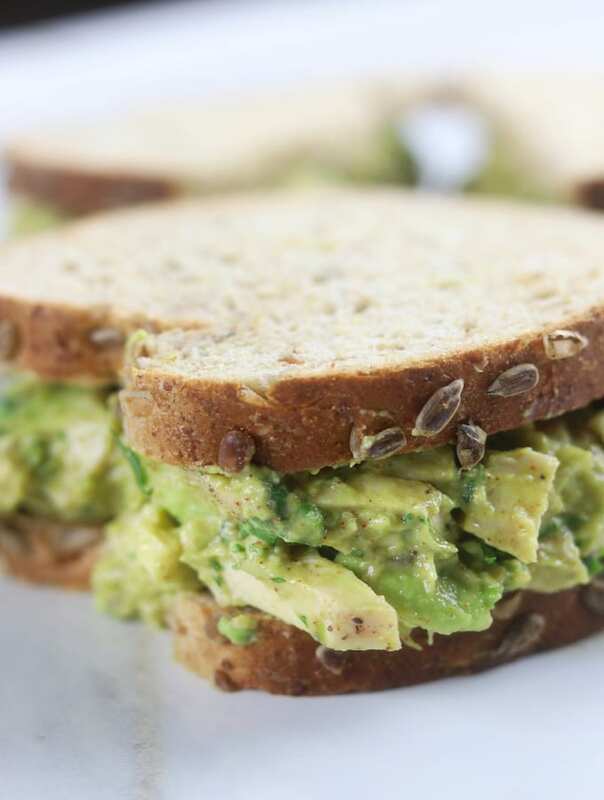 As long as you account for the correct time, either fresh air stale bread works great. What kind of lettuce can be used for Caesar Salad? Traditionally romaine lettuce is used but here is the beauty of making Homemade Caesar salads, you can really use any lettuce you love. I personally love the classic Caesar salad approach but other lettuces and even veggies like shredded brussels sprouts, finely chopped kale and arugula would taste amazing. What kind of cheese is in Caesar Salad? 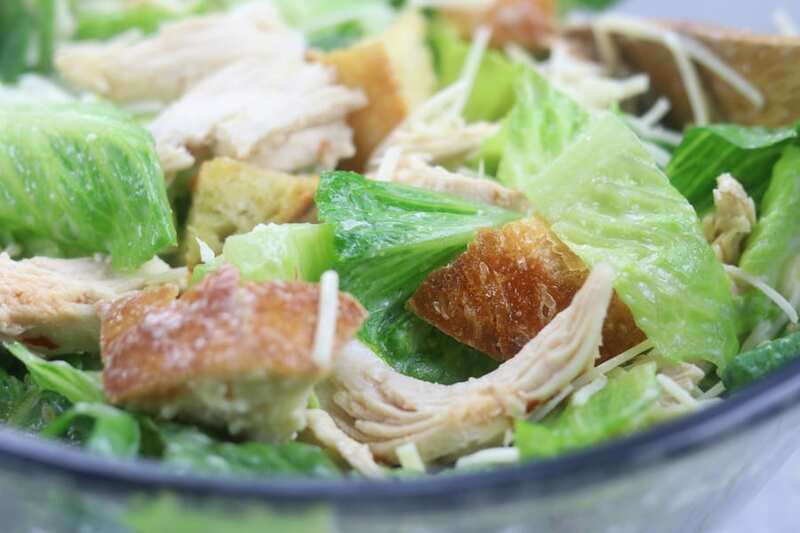 Aside from the homemade croutons and Instant Pot shredded chicken, my husband’s favorite part of the Caesar Salad is the parmesan cheese. He is kind of a broken record telling me of his love for parmesan cheese. I did a complete switcharoo on him though. I purchased a blend of Parmesan and Romano and he actually loved it even more. My recommendation though, purchase Parmigiano-Reggiano. Doing this is a way of circumventing purchasing fake parmesan cheese and buy the real stuff. How do I make gluten free Caesar Dressing and salad? To make a gluten free Caesar Salad Dressing use this (I personally use the organic version however it is not gluten free). 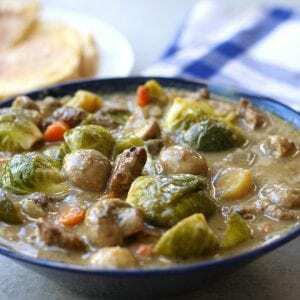 If you are making homemade gluten free croutons you will be happy to know that most of the gluten free breads on the market are on the heartier side and make for beautiful homemade croutons. Just follow the same directions. How can I make the Caesar Dressing and salad vegetarian? Use a vegetarian Worcestershire Sauce and eliminate the anchovies for 1/2 tsp of capers. Replace the Worcestershire Sauce for 2-3 tbsp nutritional yeast and the anchovies with 1/2 tsp capers. 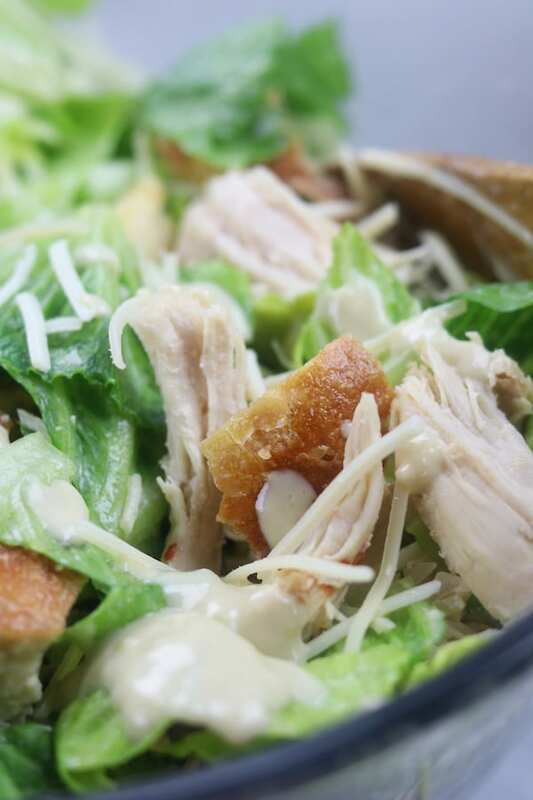 To make the Caesar salad vegetarian simply eliminate the chicken. How do I keep the Homemade Croutons fresh? Once your croutons are cooled to room temperature simply store them in an airtight container or ziplock bag that has the air removed. They will stay fresh for about 3-4 days however, they never make it past day two in my house because I constantly catch my family grazing on them and they disappear quickly. How do I make Homemade Low Calorie Caesar Dressing? To lower the calories of the Caesar Salad Dressing use nonfat Greek yogurt in place of the whole milk yogurt. 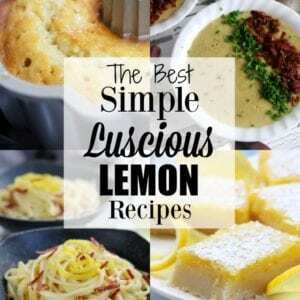 Cut the olive oil down to 1/3 cup and increase the lemon juice with 1-2 more lemons. Also use 1/4 cup + 2 tbsp parmesan cheese. 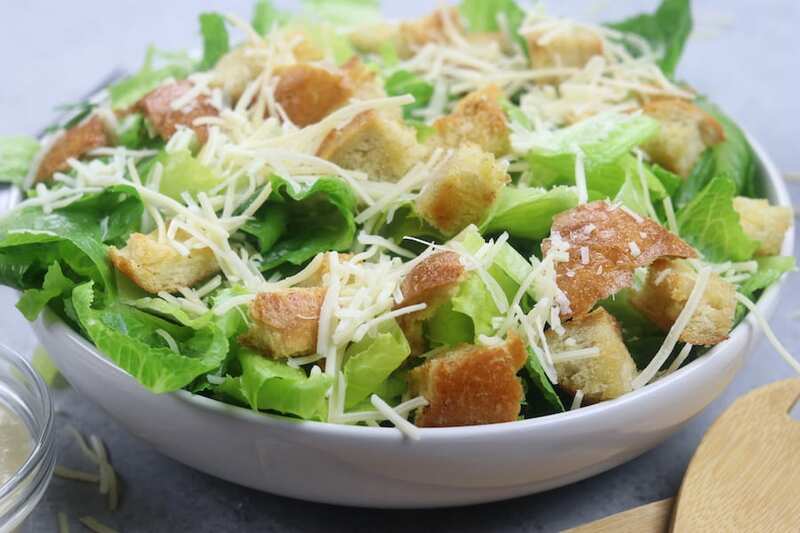 This salad is a step above the rest because it's creamy and refreshing with the best homemade croutons that are quite frankly addicting. No raw egg in this caesar salad dressing. Just fresher cleaner ingredients with vegetarian alternatives. 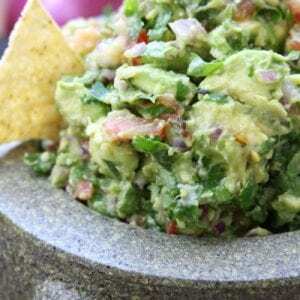 Add all ingredients for dressing to a stand blender or use a hand blender to blend thoroughly. Refrigerate until chilled. Add chicken breasts to inner pot of the Instant Pot (no trivet necessary). Sprinkle with garlic powder and chili pepper flakes. Add lemon juice and broth. Secure lid and turn valve to sealed. Cook on high pressure (poultry setting) for 6 mins and a natural release for 5 mins. Once natural release is complete immediately remove and shred chicken using either 1 or 2 forks (see video for more details). Sprinkle with salt and pepper to taste. Add 1/4 to 1/3 cup of cooking liquid to shredded chicken. Stir well and refrigerate covered until chilled. Cut bread into bite sized pieces and place on a large sided cookie sheet. In a small bowl mix oil and seasonings. Drizzle over bread pieces and mix well. If using fresh bread bake for 25-35 mins. Stale bread will take 10-15 mins to bake. Once baked let croutons cool to room temperature. Store in an airtight container or bag. Clean and cut lettuce leaves into bit size pieces. Add desired amount of chicken, croutons, cheese and dressing. Toss well. This makes enough for dinner portions with leftover for 2-4 lunches. 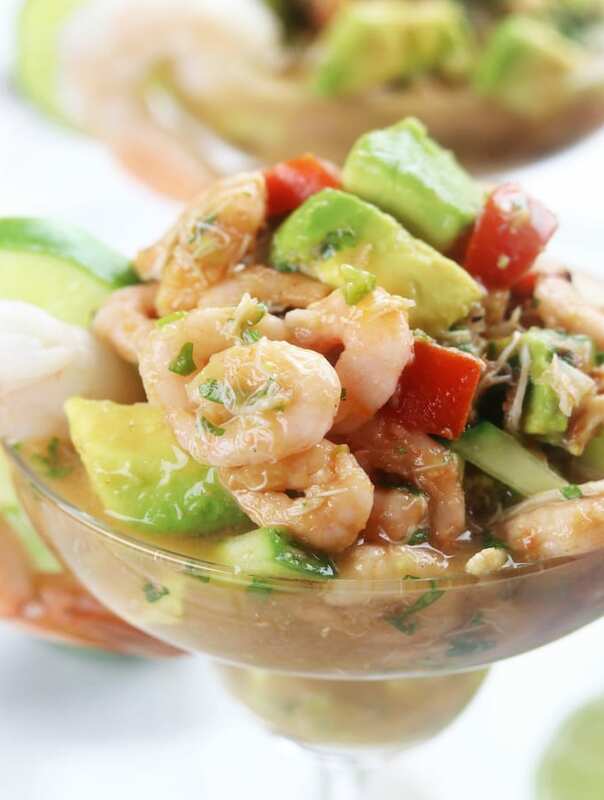 If you love light and refreshing summer meals then you will adore these recipes.